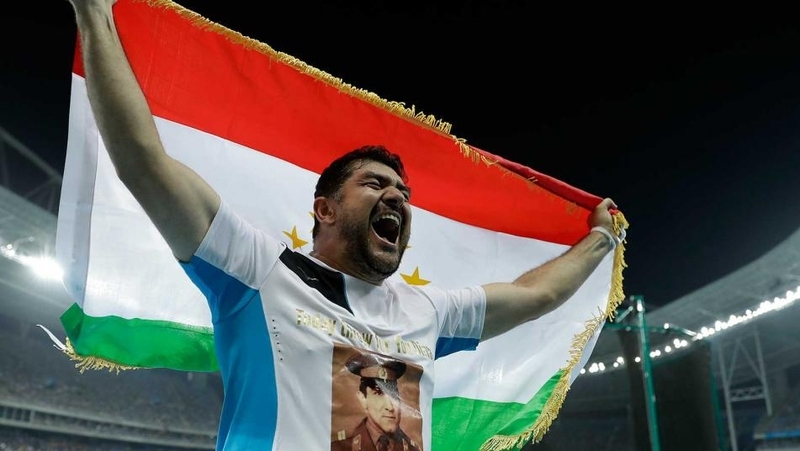 AKIPRESS.COM - Tajikistan’s Olympic track and field athlete champion Dilshod Nazarov claimed gold in men's hammer throw at the 22nd Asian Athletics Championships in Bhubaneswar, India on July 8. His result was 76.69 meters. The silver went to China’s Wang Shizhu (73.81m) and the bronze to Korean Lee Ywun-Chul. 32-year-old Nazarov, who heads the Tajikistan Athletics Federation, is Rio de Janeiro Olympic champion and 4-times Asian hammer champion (2006, 2010, 2014 and 2017).